Volante Intensive Repairing Serum Review (2018): Is It Worth Buying? 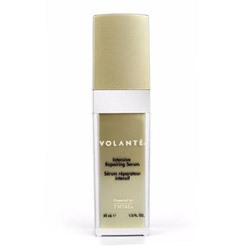 Volante Intensive Repairing Serum, US $ 105 for a 1.0 oz. bottle, is an anti-aging treatment solution that promises to correct multiple signs of damage and visible signs of skin aging with just a daily swoop and dose of this formulation. About Volante Intensive Repairing Serum — Does It Really Work? This product is brought to you by Volante Skin Care, a beauty brand that is strongly hinged to the philosophy that, “What is left out of your skincare is just as important as what goes into it.” This guiding principle has pushed the brand to formulate its products without the toxic ingredients commonly found in skin care products, more specifically parabens, sulfates, synthetic fragrances, mineral oil, and petrolatum. Relieve your skin from inflammation, that includes redness and uneven skin tone. 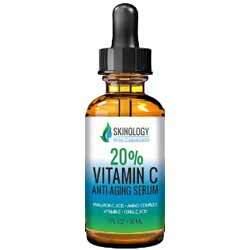 Promote a livelier, brighter overall complexion that makes your skin appear youthfully radiant. Smoothen and soften the appearance of fine lines and wrinkles. Provides your skin with an amped up protection from future damage and multiple signs of skin aging. Improve your skin’s contour, making your skin look more firmer and lifted. What Are The Ingredients In Volante Intensive Repairing Serum ? 13%T 7VITAE: A proprietary ingredient that has been specially concocted from a combination of botanical ingredients which, together, deliver anti-inflammatory benefits to chronically irritated skin to give it a radiance boost and a more even skin tone. Matrixyl Synthe’6: A proprietary peptide complex that promotes a firmer, more elastic skin. Bromelain: A fruit enzyme that helps relieve skin irritation and aids in preventing future infection. Sweet Almond Oil: Loaded with Vitamin A and essential fatty acids, this ingredient supports faster skin healing while simultaneously delivering age-defying functions. Arnica Montana: Delivers healing properties that helps your skin rapidly heal and repair damages on the matrix. Willow Bark Extract: A natural source of salicylic acid, a beta hydroxy acid, it delivers gentle skin exfoliation while also strengthening your skin’s resistance to future damage. Calendula Extract: It has natural anti-inflammatory properties, and is also well-known to deliver skin brightening effects to the skin. Volante Intensive Repairing Serum is recommended for once up to twice daily application. Use on your face, but also on neck and chest, if desired. In the morning, don’t forget to layer on with sunscreen to protect your skin against photodamage and sun-induced aging. Volante Intensive Repairing Serum is not formulated with sulfates, oil, gluten and synthetic fragrances. This product has never been formulated with nor tested on animals. All subjects attested to instant skin hydration enhancements. 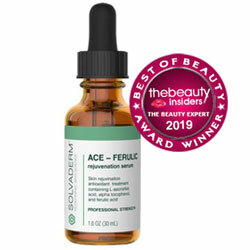 87 per cent of subjects said that their skin felt better hydrated after just 24 hours from initial product application. This product contains silicones which is not ideal for use on chronically irritated skin. Volante Intensive Repairing Serum reviews are severely limited, making it difficult to gauge user sentiment. Does Volante Intensive Repairing Serum Have Any Side Effects? Skin irritation and allergic reactions due to several ingredients, including butylene glycol. Volante Intensive Repairing Serum delivers an innovative complex for restoring and reviving your skin’s youthful health and beauty. 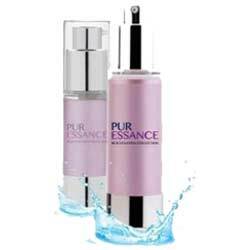 However, there are no guarantees that this serum will work for your skin all the multiple benefits it promises.